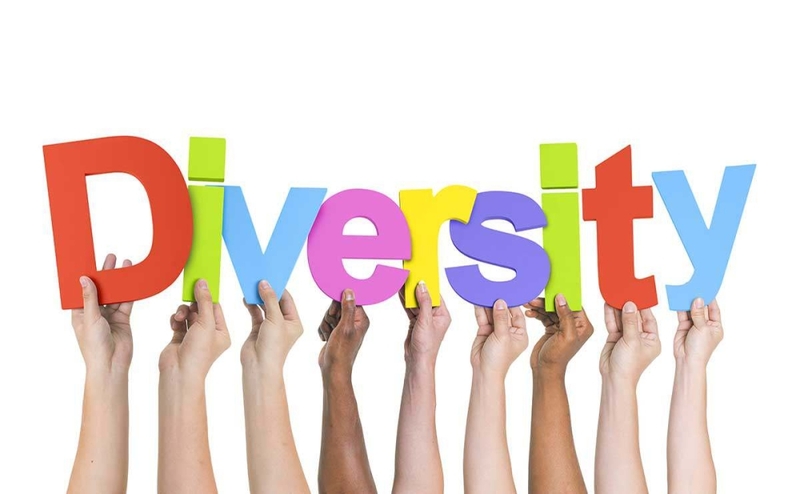 Sue Williamson, our Director, Libraries and Birmingham, looks at how the libraries we have welcomed into our National Portfolio are championing diversity, while re-defining what a library is, and what it can be. In April, six library services across England joined our 2018-22 National Portfolio and must now contribute to our goal of ensuring that great art and culture is available to everyone and reflective of all communities in England. This makes arts and culture in England better in the quality and in the diversity of its audiences. We call this the Creative Case for Diversity. These libraries need to draw upon the talent and stories of all our communities in the work we commission, curate, produce and present on our stages, in our galleries and across our museums and libraries. So, who are the artists representing those diverse groups, and what work are they delivering in libraries through our six library NPOs? 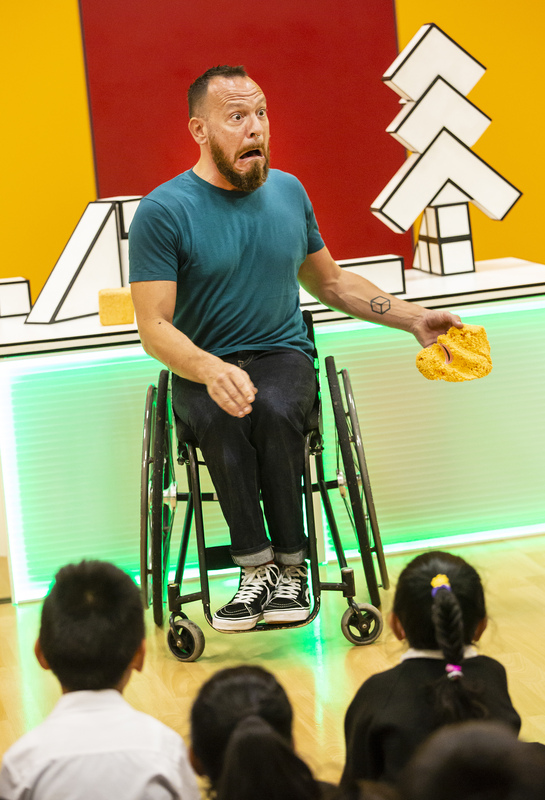 This summer, Inspire Culture, Learning and Libraries in Nottinghamshire worked with The Spark Arts for Children theatre company and presented A Square World written and performed by disabled artist Daryl Beeton. It tells the story of friends who enjoy the same routine every day, until one of them experiences an unexpected change. The friends are suddenly divided: those who can and the one who can’t. The show looks at the unfairness of being excluded in a world designed for everyone else highlighting the barriers to inclusion. St Helens Library Service’s Cultural Hubs Programme has included theatre for families such as Happily Ever After. Action Transport Theatre worked with LGBT Youth North West on a production in which the Prince sent to woo the princess in the neighbouring country falls in love with her brother instead. Comedy illustrating the Creative Case has also been popular in St Helens. 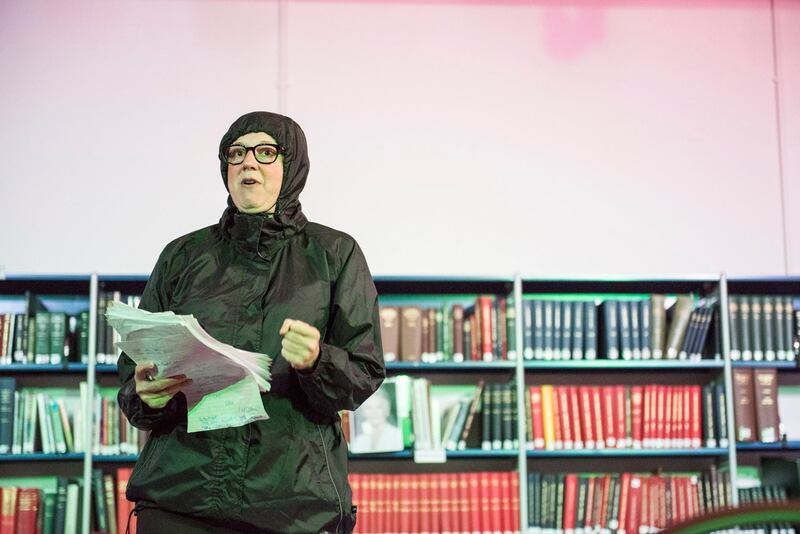 Highlights include performances by Barbara Brownskirt – the self-appointed lesbian poet of the 197 bus stop in Penge – as part of our NPO Homotopia festival. Also included was Backstage in Biscuitland by Jess Thom aka Tourettes Hero. Jess, who uses comedy to highlight her Tourettes condition, and Barbara, the creation of performer Karen McLeod, have both successfully performed at the Edinburgh Festival as has Lost Voice Guy who was the first stand-up comedian to use a communication aid. Lost Voice Guy won Britain’s Got Talent and his Disability for Dunces formed part of Dadafest, also an NPO. In November 2018, Francesca Martinez brings her What The **** Is Normal routine to St Helens. Visual arts are always a challenge for libraries without designated exhibition spaces but Tight Modern, a small gallery of small paintings by disadvantaged and disabled artists, has been constructed and displayed in St Helens twice in recent years. Barking and Dagenham Libraries deliver Pen to Print, a writing programme for adults and children, in one of the most deprived boroughs in London. The 2018 theme is Women in Activism and in 2020/21 it will focus on international stories reflecting their diverse community. This programme encourages budding authors to capture their stories allowing new voices to be heard through the written word and supporting those voices to be published. In their Autumn 2018 programme, Cambridgeshire Libraries are presenting Apple ‘n’ Spiceby Sanskruti Dance which weaves together the well-loved stories of Snow White and Ramayana. Mixing Indian and western dance styles and shadow puppetry, the show encourages audiences to join in an Indian party to remember. The recent Culture LAB in Suffolk Libraries explored artistic practice with 10 Suffolk-based mixed-media artists. Suffolk Libraries worked on the programme with its partner, METAL Culture, actively targeting artists from diverse backgrounds to ensure a spread of experiences. Libraries can commission artists to work with their communities to deliver activity reflecting local diversity and encouraging that community to be part of the art. In Devon,Libraries Unlimited is developing its ‘library playground’ commissions by inviting artists to co-create pieces that redefine library spaces. Working in close collaboration with members of hard to reach communities such as refugees, traveller communities and rough sleepers. Libraries Unlimited is also working with a local artist to explore opportunities to co-design and build an accessible listening booth where visually impaired users could engage with audio works. From original pieces to curated podcasts and audiobooks. Across the country, theatre, comedy, music, dance, visual arts, writing, creative and participatory arts are being delivered in libraries, enabling audiences to reflect on the rich and diverse community that is 21st Century England. At the heart of their communities, libraries can do so much to raise awareness of that wider community and its diverse make up. I’m looking forward to seeing how the work of our library National Portfolio Organisations and those we support through our National Lottery funded Project Grantscontinue to do just that.